The principle used within the Collision Detection example is the calculation of Jerk (which is defined as the change in acceleration). 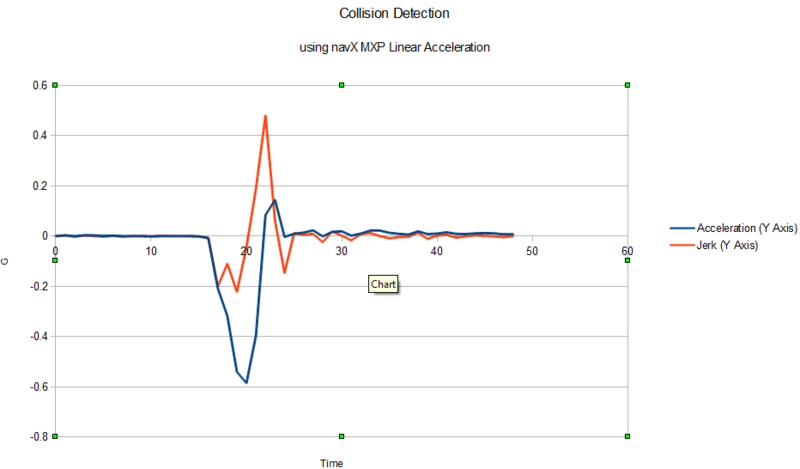 As shown in the graph below (taken from navX-MXP data recorded in LabVIEW of a small collision), whenever the jerk (in units of G) exceeds a threshold, a collision has occurred. 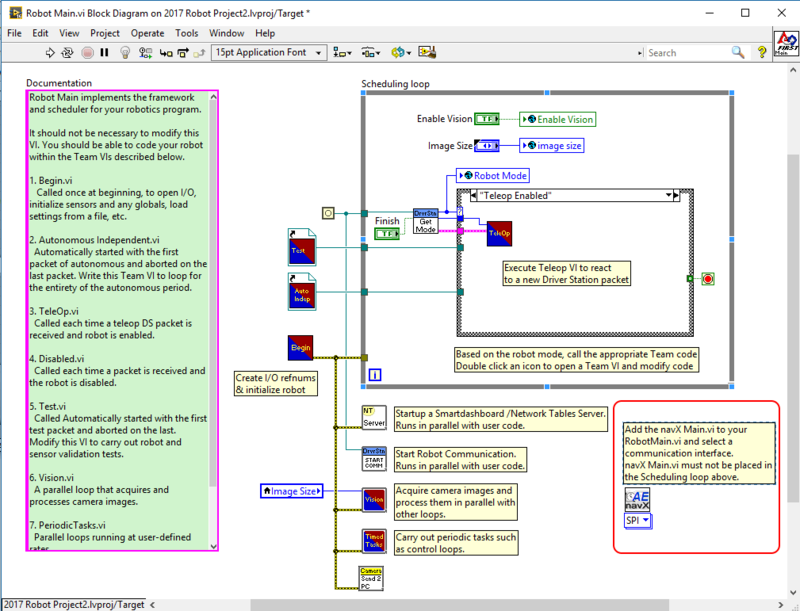 The navX-MXP AutoBalance LabView example shows how to make small modifications to the LabView “FRC RoboRIO Robot Project” using the “Mecanum Robot” configuration to implement collision detection. 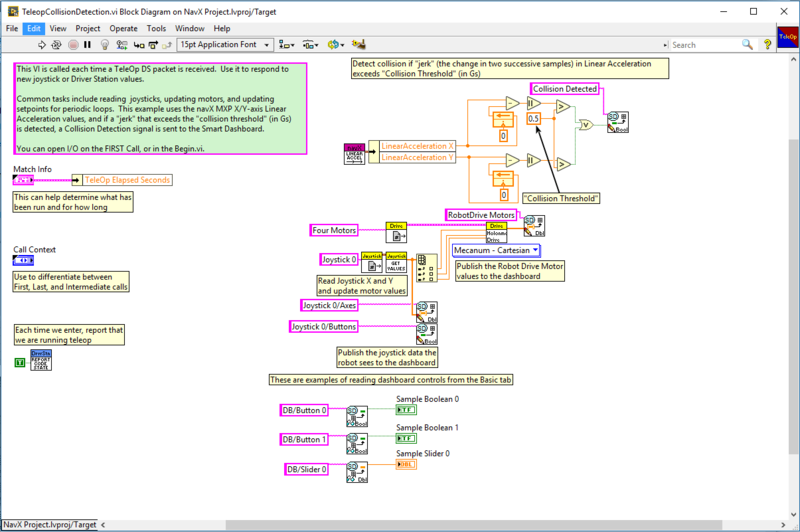 The Teleop.vi is modified to feed the Linear Acceleration to a threshold detector to determine if a collision has occured.